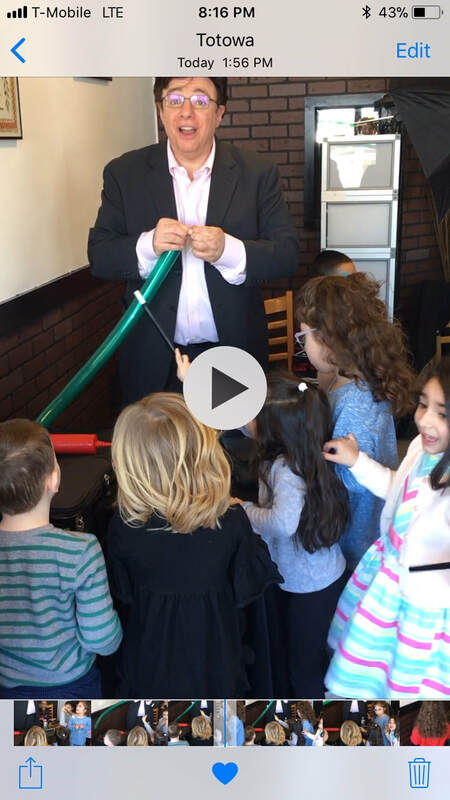 Surprise your child with an awesome fun-filled Magic Show by Doug The Magician! Doug performs in your house, backyard, restaurant, anywhere. Within seconds the kids (and usually the adults! )will be jumping up, screaming, laughing and engaged! The birthday child can assist me and so can the parents, crazy Uncles, Nana, etc! Doug can also teach magic like making M&M's appear! Each child receives a trick and instruction from Doug! Balloons too.